Also, I’ll go with to the phillipines! I think you can cross number 2 off the list as well! Given your previous (negative or ambiguous) comments about fan fiction, I am surprised to see Item 8. 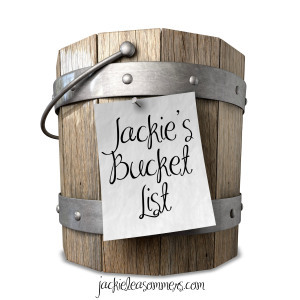 How did your thoughts progress to the point where it is on your bucket list? By *whom* would you want (or tolerate) to “have fan fiction written about” you characters? I ask because I have been tempted to write some, but I realize that may move this from your bucket list to your “be careful what you wish for” list. I think that fan fiction comes about when people can’t stop wondering about book characters. It’s the result of dedication to a story, and I love that and want that for Truest!